My plan today is to get some serious sewing and project prep done. That means I’ll be using my Accuquilt Studio Cutter . Yesterday, I cut out everything I need for a lap quilt in about ten minutes using my cutter and dies. Here I have 8 1/2 inch squares, 2 1/2 by 8 1/2 inch strips, and 2 1/2 inch squares. This top will go together in a big hurry now. 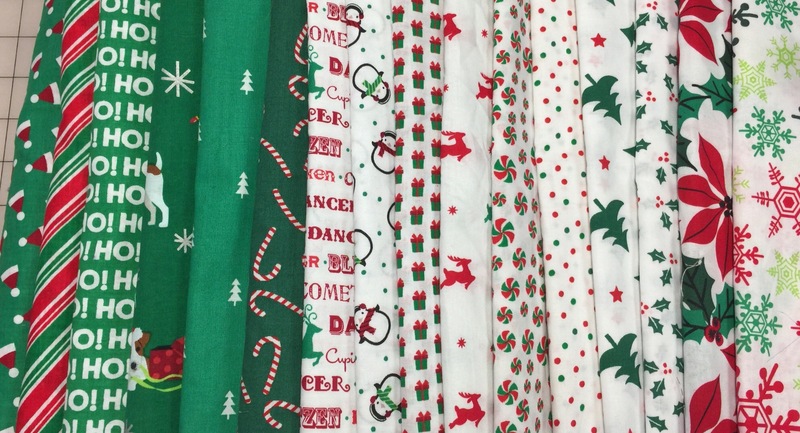 I also plan to cut out pieces for a Christmas quilt using these fabrics. It will take me longer to decide on a pattern than to cut out the quilt! I mentioned a few days ago that Accuquilt was running a fabulous sale on cutters and dies. They have extended the sale through midnight tonight! And if you click here you can get free shipping as well. Free patterns can be found here. 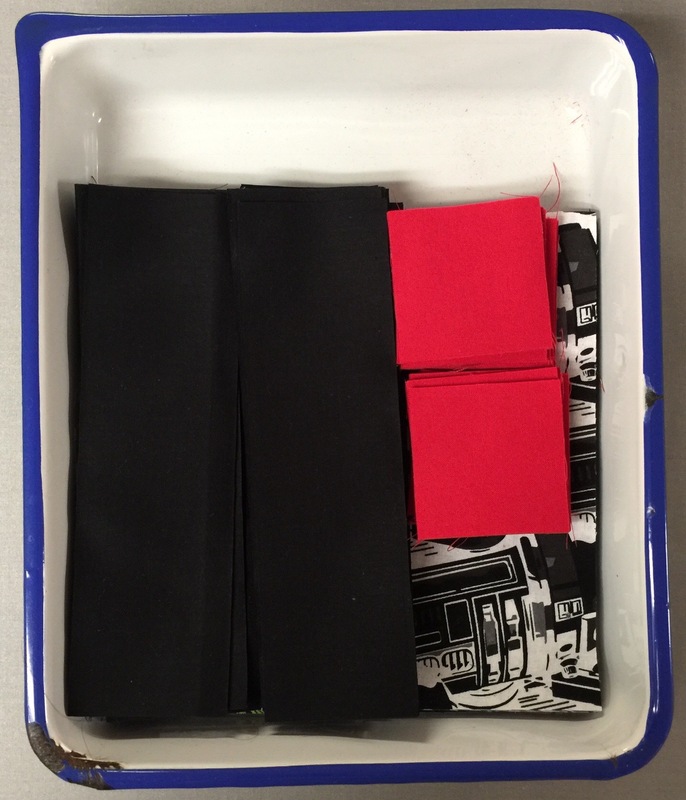 This entry was posted in Accuquilt, Accuquilt Studio Cutter, Uncategorized. Bookmark the permalink. That certainly did save you a lot of time. You put yours to good use, I know.